So it’s that time of year again when many suffer with hayfever – the Summer months are not welcomed by everyone unfortunately! And it’s not just the pollen that can cause problems. Allergies make life a misery for millions and are becoming increasingly common but did you know that your allergy may not be purely due to pollen, dust, pet hair or what you ate? It is now thought that chemicals, rising pollution and poorer food quality could have a part to play too. 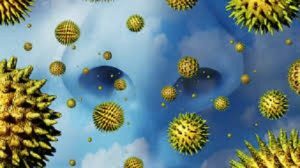 A number of alternative and quite extensive investigations into allergies and health related conditions have certainly identified the presence of toxicity from pollution, poor diets and chemicals in the sufferers’ tissues, but also some other factors, including parasites. So how can your allergy symptoms be linked to pollution, chemicals and even parasites rather than just the pollen, dust, pet hair or food? Toxicity from pollution, chemicals and poor diets disrupt the body’s own self regulatory processes which manage our natural reactions to those grains of pollen, dust or pet hair, for example, whilst studies have shown that parasites, in particular, can block the body’s responses adding their own toxicity to the mix. As a result, when you come into contact with an irritant such as pollen your body over reacts, giving you streaming eyes and a runny nose rather than, at worse, a more ‘normal’ response of a simple quick sneeze to remove the offending particles. Classic ways of dealing with allergy symptoms involve avoiding the allergen and/or taking medication or ‘over the counter’ remedies. Whilst helpful to deal with the immediate uncomfortable symptoms, such solutions don’t always offer a long term answer to the problem. But given what else might be linked to your allergy is there a different approach you can take which might? You could try this one simple step: Clean up your potentially toxic tissues. Reducing your exposure to chemicals and pollutants, improving your diet, and removing those troublesome visitors – toxins and parasites, for example – from your tissues. 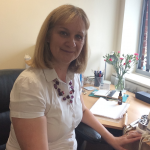 Bioresonance is particularly useful for this, being able to not only resolve the disturbances from the toxicity but also assisting to rebalance those all important self regulatory processes your body uses which in turn helps to reduce that overactive allergy reaction and improve your overall health. I’ve had many clients who have had great success with this approach. So just imagine if you, too, could enjoy summer, being around animals, and eating more of what you like. Seeing your allergy from a different perspective could help you do just that! ← Better Health – Why There’s Less To Do Than You Think!